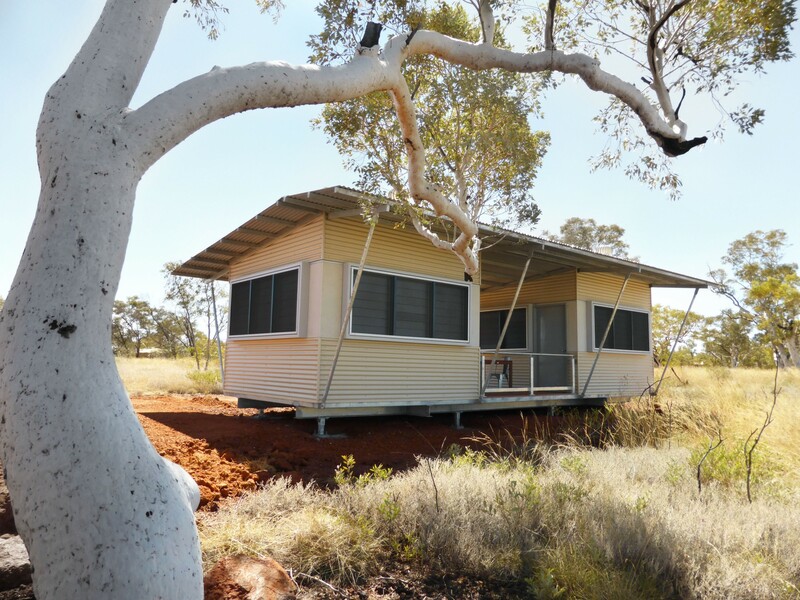 Our newest accommodation at Karijini Eco Retreat. Dorm Eco Cabins offers basic, comfortable accommodations after your day of exploring the many stunning sights within the National Park. 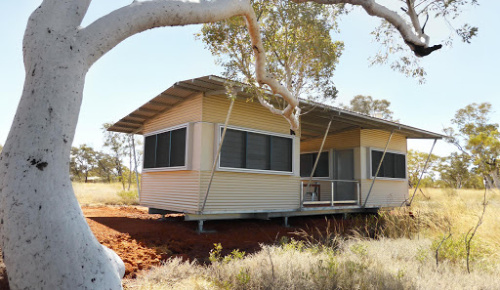 Compact cabins are in blocks of 2 and sleep up to 4 people per cabin in bunk beds with a fan, individual lockers, reading lights and a shared outdoor seating area connecting the 2 cabins. Large windows offer stunning vistas towards Joffre Gorge. Guests staying in the Dorm Eco Cabins have the use of shared ablutions including solar heated showers, flushing toilets and basins. NB: for up to 4 guests - select 1 cabin. For 5 to 8 guests select 2 cabins. 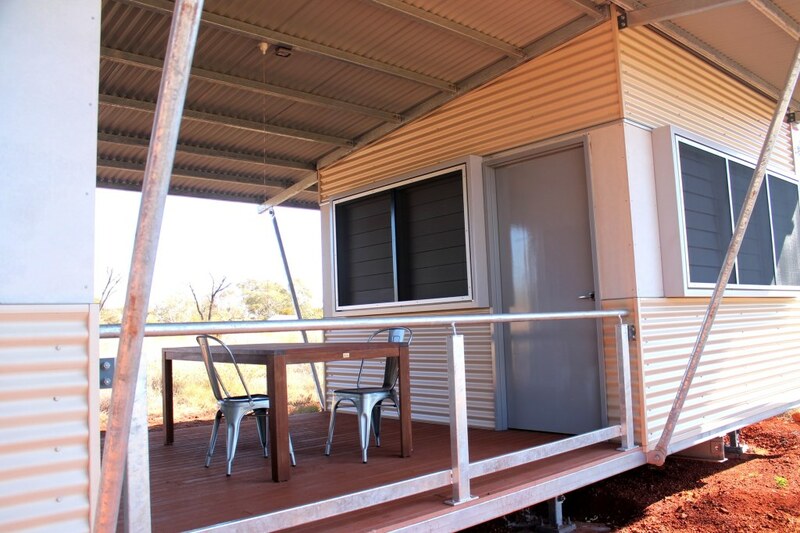 Each cabin is 1 compact room sleeping up to 4 people. Prices are per cabin per night (i.e. select 2 and the price will be doubled). Please note: Guests staying in Eco Cabins are required to make up their beds as required.